For full characters purchase the commercial version which includes an italic, solid, and eroded styles. 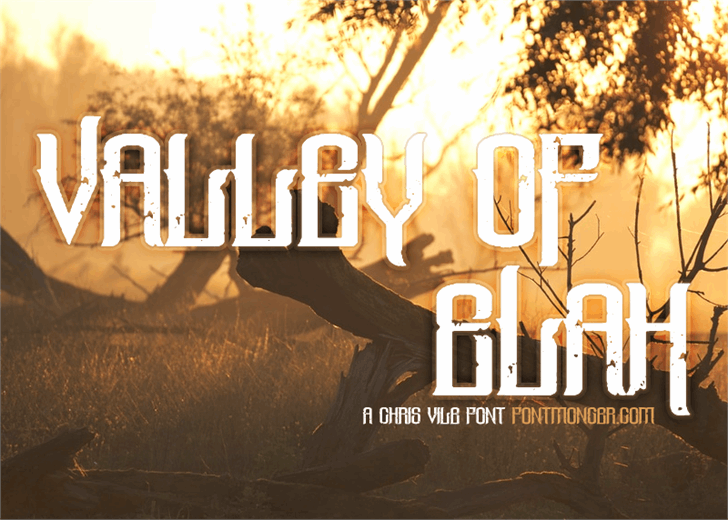 Valley Of Elah Regular is a font by Font Monger, designed by Chris Vile in 2016. Copyright (c) 2016 by Font Monger. All rights reserved. 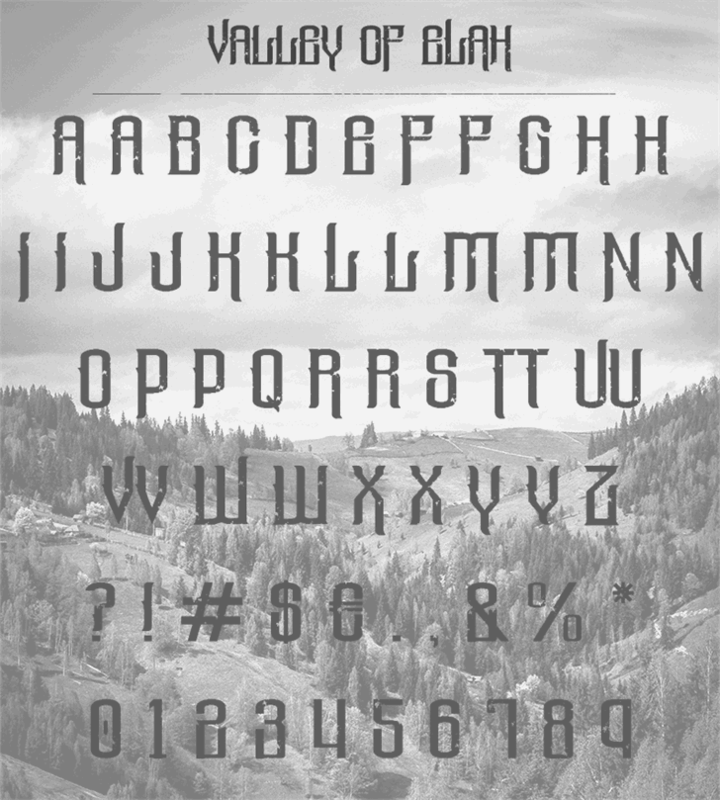 Valley Of Elah is a trademark of Font Monger.